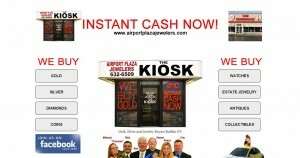 Airport Plaza Jewelers address, phone, website, hours of operation, and more. 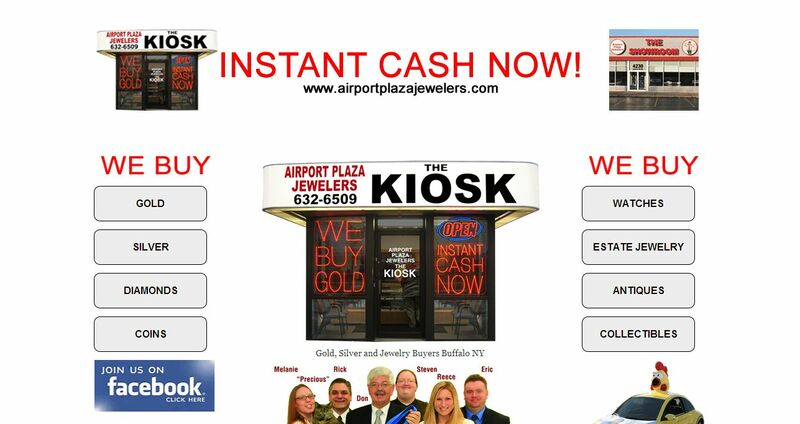 Airport Plaza Jewelers, The Kiosk is Buffalo and Western New York’s most recognized jewelry store, specializing in gold, silver, watch, coin and diamond buying. Now featuring Airport Plaza Jewelers The Showroom, which hosts the most beautiful selection of GIA certified diamonds, engagement rings, charms, bracelets, earrings, necklaces, vintage estate jewelry and more!